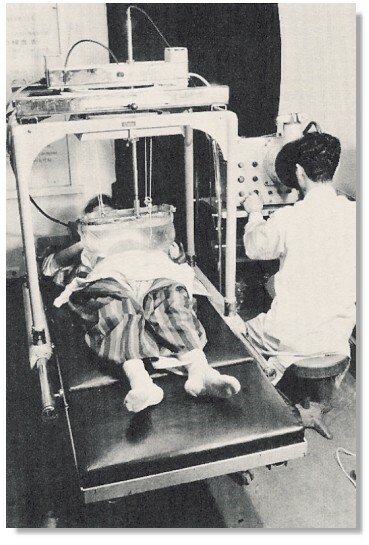 The Aloka SSD-1 water-bag coupling B-mode scanner, produced in 1960. Used initially for brain scans and breast scans. Became popularly applied to Obstetrics and Gynecology in Japan after about 1962.